Rome is huge and there are a million things to do, places to visit and restaurants to try, but that’s not all. A holiday in Rome, in fact, offers more than the city itself. If you want to spend a day out relaxed and far from the mental traffic, take a train and enjoy one of the fantastic day trips from Rome that are easy to reach and can truly add to your Italian experience. I strongly disagree with who suggests Florence, Naples or even Venice as day trips from Rome. Actually, I don’t only disagree, I cringe. Florence is a gem that can’t possibly be visited in one unless you are just planning to walk around the city center and take a few selfies along the Arno river without actually visiting anything. Venice not only is far from Rome but also packed with things to see and places to visit, so even if you take the high-speed train and are there in three hours, you won’t be able to enjoy the city, only to take a couple of selfies in Piazza San Marco and close to a gondola. 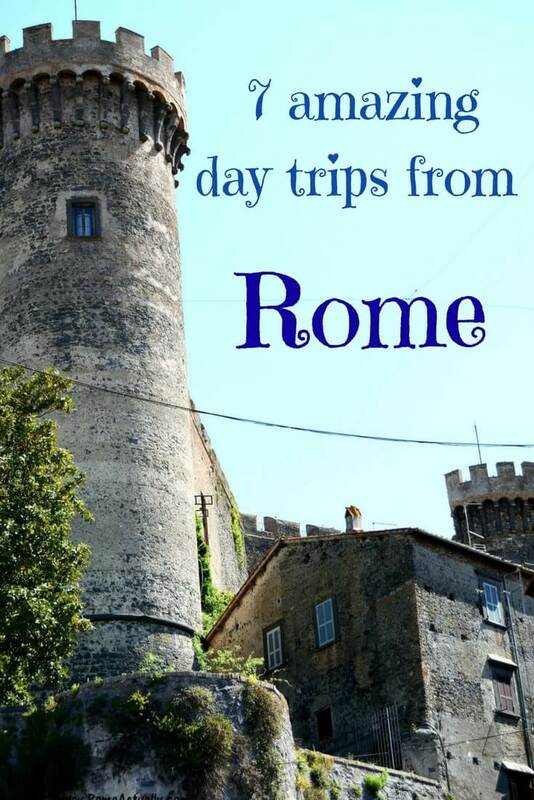 My personal selection of places to see near Rome includes cities that are easy to reach, that can be truly explored and enjoyed in one day and that will add incredible value to your Roman holiday. Close to Rome and very easy to reach is Ostia Antica, where you can visit both the Roman archaeological site and the medieval quarter in the modern town. Ostia (Ostium in Latin means “mouth” as the city was located right at the mouth of the Tiber where it flowed into the sea) was an ancient Roman town mainly serving as a commercial port for the capital. From here goods of all types, especially wheat, were stored and shipped to Rome via the river. Built as a military settlement, Ostia has later turned into a pivotal commercial and trading hub thanks to its proximity to the port. By the 2nd century, it had become a rich city with villas and residential areas where the wealthy would either live or spend their holidays, along with taverns, shops, bakeries and the mandatory temples, a political arena, an amphitheater for public games, and the thermal baths, favorite pastime in ancient Rome. With barbarians’ attacks on Rome and its aqueducts, also Ostia faced an inevitable decline and was gradually abandoned. Diggings are always ongoing, and three years ago they found new evidence showing that Ostia is twice bigger than Pompeii. Walking around the ancient alleys of Ostia Antica you can still see the old dwellings, ruins of the temples and remainings of the mosaics. Admittedly, visiting with a knowledgeable tour guide you will gain much more from this trip rather than going by yourself. How to get to Ostia Antica: take the train from Piramide metro station, the ticket is € 1.50 for a single trip. 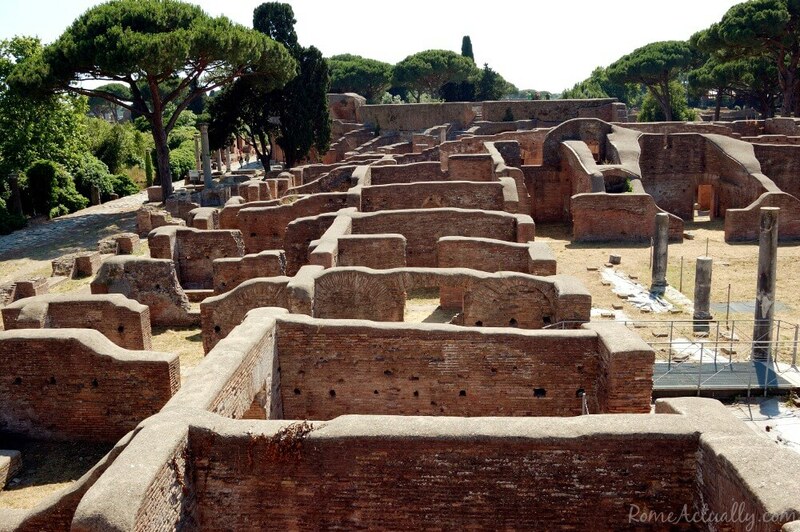 Ticket fee for Ostia Antica: the full ticket is 8 €, for teachers or 18-25-year-old citizens from EU countries is 4 €. First Sunday of the month free for everyone. If you are looking for accommodation in Rome, check out our article on budget hotels and our piece on five-star hotels. A fascinating day trip from Rome is certainly to the town of Tivoli. Very old, claiming to be older than Rome as dating back to 1215 BC, Tivoli is home to the wonderful Villa Adriana and Villa d’Este, both enlisted by UNESCO (here and here). Villa Adriana is a complex of classical buildings dating back to the 2nd century AD by Roman emperor Hadrian where the most important architectural styles of the time such as the Greek, the Egyptian and the Roman blend gracefully, while Villa d’Este is a Renaissance-style palace and garden exquisitely decorated with fountains and statues. In addition, in Tivoli, you can also visit the beautiful Villa Gregoriana park, Albule thermal baths, and Hercules Sanctuary built in the 2nd century AD. How to get to Tivoli from Rome: by train from Roma Tiburtina station, or by Cotral bus from Ponte Mammolo metro station, line B. Once in Tivoli, you can use the public transport C.A.T. to reach the different places. Opening hours: Villa Adriana opens daily 9 am-7 pm in summer (until 5 pm in winter); Villa d’Este opens 8.30 am-6.45 pm in summer (until 4 in winter); Villa Gregoriana opens 10 am-4 pm on March, November, December (last entrance at 3 pm), until 6.30 pm April-October (last entrance at 5.30 pm), closed on Mondays, if Monday is a holiday Villa Gregoriana stays open and closes the day after. Entrance fee: for Villa Adriana and Villa d’Este ticket is 8 €, for Villa Gregoriana 6 €. 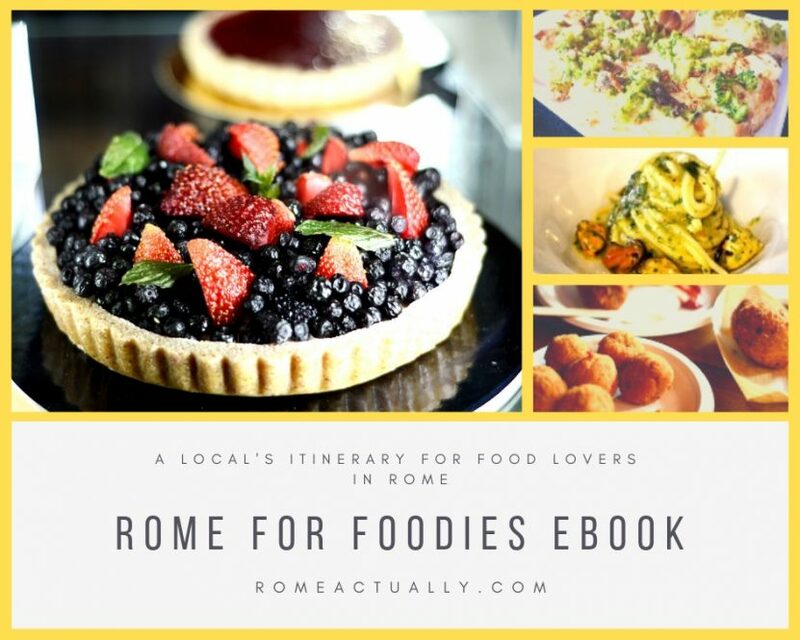 Visiting Rome and feeling overwhelmed? Click here for our full guide to Rome and here for our detailed guide to the Vatican City. One of my very favorite towns near Rome, Viterbo is a real pearl. As soon as you get off at Viterbo Porta Romana train station, you cross the road and find the first gate into the medieval heart of the city. Viterbo is famous for being the official papal seat for a short time, unofficial for much longer, and home now to what’s known as the Palace of the Popes. The palace was built when the papal seat was going to be transferred to Viterbo from Rome in 1257. It’s located on a hill in the historical quarter with a beautiful view of the city and the surroundings and it’s possible to visit both the palace and the adjoining cathedral. The city is also known for its workshops, so if you stroll around the Quartiere San Pellegrino you can see some local handicraft and do a pretty fascinating shopping. One of my favorite art workshops is Laboratorio Artistica (via S. Pellegrino 8), where they produce the original Zaffera ceramics. Viterbo is also home to wonderful thermal baths, so if you have some extra time in the city, do pamper yourself with some treatments or even only for a warm bath (entrance for only the baths is 10 € and you can soak as much as you like). How to get to Viterbo from Rome: take the train from Roma Ostiense, Roma Trastevere, Roma San Pietro or Valle Aurelia (also a metro station, line A), the ticket is 5 €, ride from 1 hour 50 minutes to 1 hour 30. Entrance fee to the Palace of the Popes: 9 € and it includes the palace, the cathedral, and museum with the audioguide. A beautiful medieval town, Cerveteri is home to some of the fascinating Etruscan ruins of central Italy. Actually, Cerveteri is the ancient capital of Etruria, and its necropolis is the most imposing among the Etruscan funerary remains. Here you can take a stroll around the “city of the dead” and thanks to the 3D video installations, virtual reconstructions and light and sound effects, you can see how the tombs as they were 2000 years ago and have a true time travel experience. In Cerveteri, you can visit also the Museo della Cerite that displays many Etruscan relics. North of Cerveteri is Tarquinia, also an ancient Etruscan town where you can visit the necropolis that has been defined as “the first page of the great Italian paintings” thanks to the wonderful paintings representing scenes with hunters, fishermen, athletes, musicians, dancers, and jugglers. In Tarquinia, there is also the archaeological museum worth a visit. How to get to Cerveteri from Rome: the best way is by car. If you can’t drive there, take the train from Rome and get off at Marina di Cerveteri station from where you will take a bus from line D to Piazzale Moretti or Piazza Aldo Moro, and from here line G to the necropolis. How to get to Tarquinia from Rome: take the train from Roma Termini station and get off at Tarquinia, from where you can either walk to the Etruscan necropolis or take a bus of line D.
Entrance fee to Tarquinia and Cerveteri: tickets are 6 €, for Cerveteri the booking is mandatory and costs 2 €. Want to go off the beaten path? 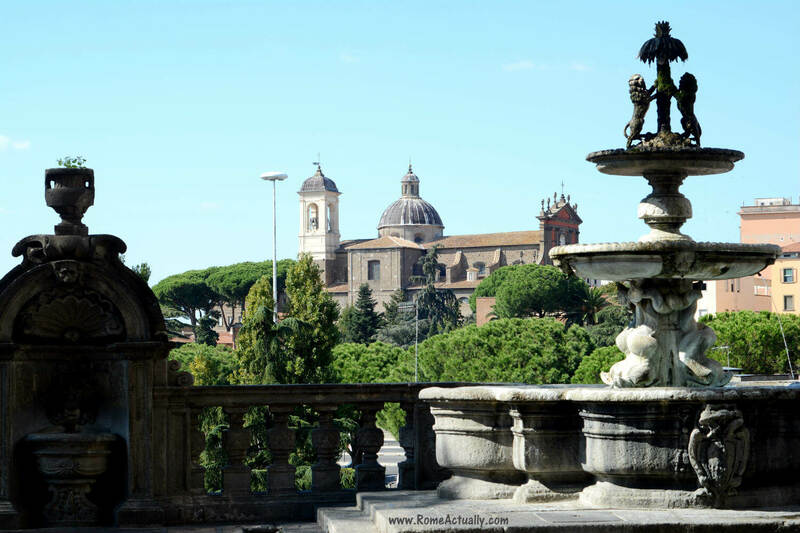 Click here to discover 5 secret sights in Rome! Terni is in the Umbria region, but only an hour by train from Rome so totally doable in one day trip. The city is known as “the Italian Manchester” or “steel city” because of its industrious modern history. This is not all about Terni, though. The saint patron is Valentine, his relics are preserved in San Valentino Basilica, a popular pilgrimage site. So it’s easy to imagine that here Valentine’s Day is sort of a big deal and many events are organized the days before the 14th of February. Terni, however, doesn’t end in Terni. From the station, take the bus to Cascata delle Marmore, Marmore Waterfalls, and enjoy a fantastic hike or walk (depending on the paths you choose) around this natural wonder that is actually man-made, result of the Roman hydraulic genius in order to collect the waters from the Velino river that were becoming stagnating on the Sabina plain, and to merge the flow of the Nera and Velino rivers, making them tributary of each other. Cascata delle Marmore is definitely one of the great day trips from Rome that will give you the chance to explore the nature and delve into the history and tradition of central Italy. How to get to Terni from Rome: train from Roma Termini, the ride is about one hour and the ticket costs 7 €. Entrance fee for Cascata delle Marmore: 10 € for adults, 7 € for 5 to 10 year-olds. 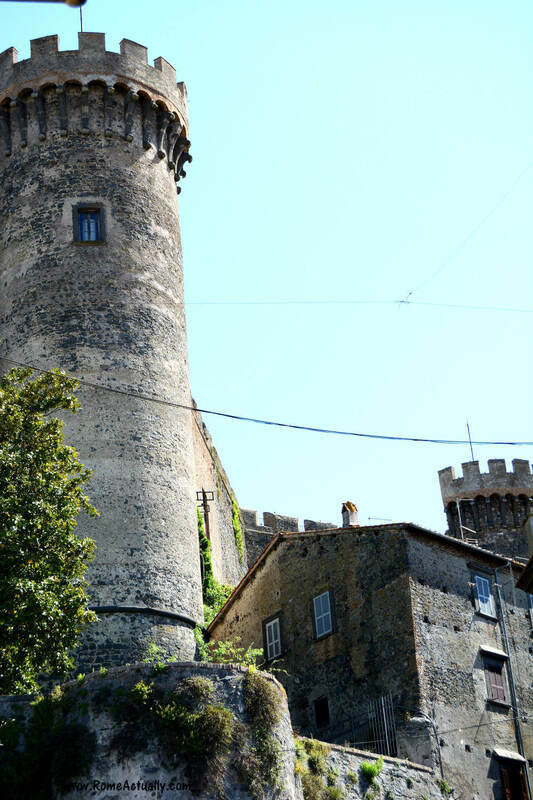 A beautiful medieval town, Bracciano is also home to the Orsini Odescalchi Castle, historical mansion famous for having been the venue for Tom Cruise’s wedding. Built in the 15th century upon the commission of Napoleon Orsini to Italian architect Francesco di Giorgio Martini, throughout the century has been object of dispute between Roman noble families Colonna and Borgia who fiercely fought for its ownership, to the point that in 1496 Pope Alexander VI Borgia confiscated it. Residence of local noble clans and several popes, the castle is a must for any visit to this lovely town north of Rome. Originally, Bracciano was a fishing and farming village existing already from Etruscan time, and in 1419 pope Martino V gave it up to the Orsini family. This is how, from the 15th century, the history of Bracciano is inextricably linked to the Orsini-Odescalchi clan. The city lies on the shores of the famous Bracciano lake and is a perfect destination for a walk in nature, go on a boat or, in summer, for a swim. This is not the only town lapped by the lake’s waters, and also hamlets like Anguillara Sabazia and Trevignano Romano make it for beautiful and regenerating day trips from Rome. How to get to Bracciano from Rome: take the train from Roma Ostiense, Roma Trastevere or Roma San Pietro towards Viterbo, the same train stops both at Bracciano and Anguillara. The ticket is 4 €. Entrance fee to Castello Odescalchi: for adults € 8.50, 6 € for children between 6 and 12 years old, free for children up to 5 years old. Perched on the hills south of Rome is a cluster of picturesque towns and hamlets perfect for a hiking day out, a foodie trip and a photography outing. Symbol of the Castelli Romani group is Frascati, ancient town famous for the historical Renaissance and Baroque villas that Roman noble families wanted to be surrounded by nature in the backdrop of the Colli Albani (Albani Hills). With time, Frascati has become always more popular among foreign tourists as well as Roman residents who like to regenerate on the weekend with a day out in nature, silence and good food. In Frascati, you can stroll around its beautiful streets, visit the sumptuous villas and mansions such as Villa Aldobrandini and Villa Falconieri, the churches such as San Pietro Cathedral, and enjoy the typical dishes, from the porchetta (spit-roasted pork) to the renowned local wines at one of the traditional osterie. Nemi is also worth a visit during a day out at the Castelli Romani. Famous for its tiny little strawberries, when it’s not the season for these juicy delights, you can still stroll around its quaint alleys, visit the museum built around a Roman ship that was found in the area, and enjoy the view of the Nemi Lake. Among the other towns of the Castelli Romani are Rocca di Papa, Castel Gandolfo to visit the summer residence of the Pope, Colonna, and Ariccia. How to get to Castelli Romani from Rome: definitely by car as only Frascati can be reached by train (half an hour from Roma Termini), but once there, seldom are the public buses to go around the other villages.